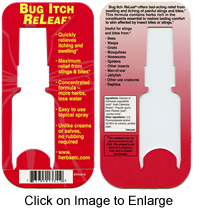 Bug Itch ReLeaf® FOR EXTERNAL USE ONLY. Unlike creams or salves no rubbing required, just spray. Ingredients: Echinacea angustifolia root, fresh Calendula flower, Propolis gum, fresh Plantain leaf and Licorice root. Suggested Use: FOR EXTERNAL USE ONLY. 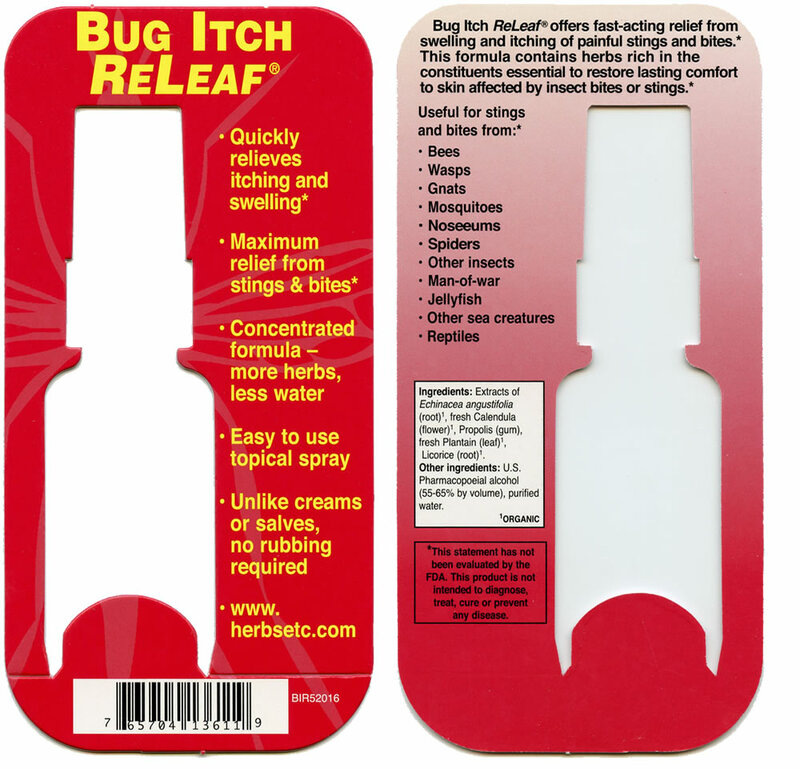 Spray liberally on skin area(s) from three times a day up to every two hours. To achieve best results, take one softgel or 30 drops of Immune Alert™ with water three times a day or up to every two hours. Warning: Discontinue use and consult with a doctor if condition persists or worsens.